If you need a breakfast on the go for the family, these will work for everyone! 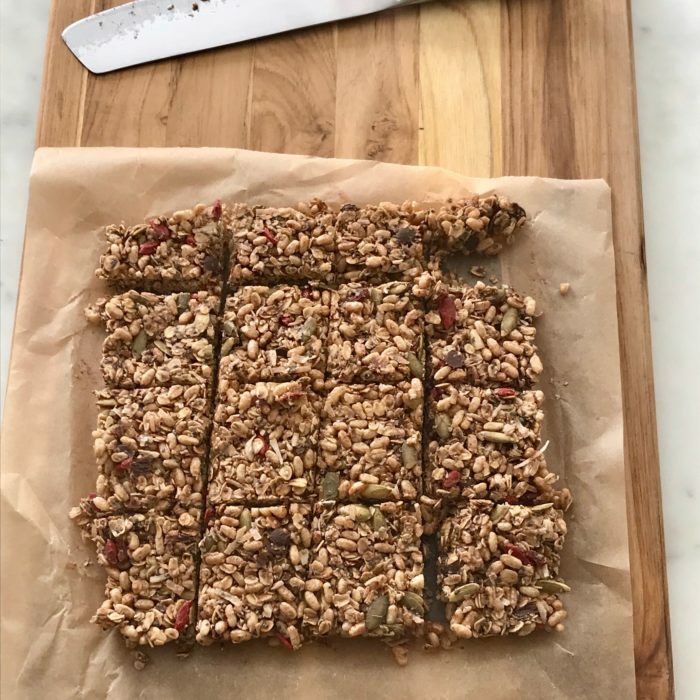 These granola bars only take a few minute to assemble, and 30 min in the fridge to set! Assemble all the dry ingredients. Melt together the coconut oil, nut butter and maple syrup until completely smooth. Pour over the dry ingredients and toss until everything is nicely coated! Transfer to a baking sheet lined with baking paper ( it will help with the stickiness) and press down until nice and compact.